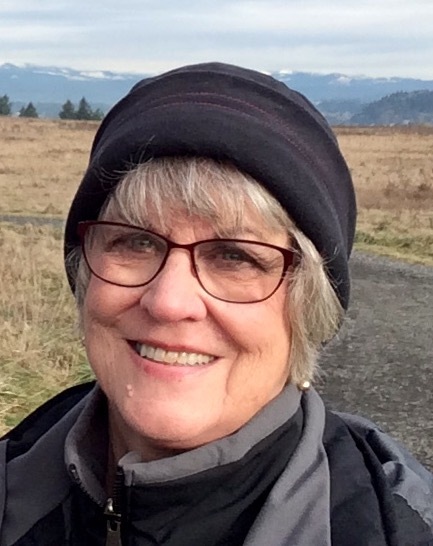 A celebration of life for Judith “Judy” Button, 73, of Coos Bay, will be held from 3-5pm, Saturday, September 29 at Bon Appetit, 63330 Boat Basin Road in Charleston (by Miller's at The Cove). If attending, please make sure to RSVP at treena@sterkworld.com. Private cremation rites will be held at Ocean View Memory Gardens in Coos Bay. A private inurnment will be held at Sunset Memorial Park in Coos Bay, where Judy will be placed alongside her husband, Phil. Judith Anne Barton was born May 24, 1945 in North Bend. She passed away unexpectedly Sept. 12, 2018, at her residence in Coos Bay. Judy grew up in Empire. She loved school, her community and the things coastal living affords, fishing, crabbing and clamming with her sisters, mom and dad. She took pride in how quickly she could dig up an Empire clam without damaging the shell. She was a member of the Marshfield High School Class of 63. This is where she met her high school sweetheart, Phil. They married shortly after her graduation and remained inseparable and truly in love throughout their many years together. Judy loved her family. Her children were often welcomed home to the aromas of fresh bread baking in the oven or a favored baked treat. She and her family loved to camp especially in the Central Oregon area at "Cow Camp" along with extended relatives. She also loved to sew, knit, and golf. After her children grew and left home, Judy pursued her lifelong goal to become a teacher. She was a dedicated and loving teacher at Bunker Hill Elementary and then later at Eastside Elementary. Judy often enlisted Phil's help to correct papers, run errands, and on more than one occasion to bring freshly caught fish for marine biology lessons. Mrs. Button had high expectations for her students that was tempered by warmth and an amazing wit. In the years after Phil’s death, Judy reconnected with old friends, supported the MHS Booster Club and engaged in other community volunteer activities. She also relished attending her weekly exercise class with friends at Southwestern Oregon Community College. Recently, Judy also rekindled her love for golf, and found great joy in playing with old and new friends. Judy is survived by her three children, Tyron Button and his son, Hunter of Scappoose, Trever Button with wife, Cathy and sons, Kenny and Talis of Portland; daughter, Treena Sterk with husband, Chris and daughters, Sadie and Stella of Seattle; sisters, Sharon Sorenson of Gladstone, and Alicann Wilson; brother, Robert Reichert; extended family throughout the northwest; and her beloved dog, Keeper. Judy was preceded in death by her husband, Phil Button; her mother and dad, Lucille and Boyd Reichert; her in-laws, Gladys and George Button; and her sister, Pamela Morris. Memorial donations in Judy's honor to the Marshfield High School's Booster Club, S 10th & Ingersoll St., Coos Bay, OR 97420, would be greatly appreciated. Arrangements are under the care of Coos Bay Chapel, 541-267-3131. Friends and family are encouraged to sign the online guestbook at www.coosbayareafunerals.com and www.theworldlink.com.